Given today’s highly industrialized world, it might appear that farming is perhaps the most appropriate, sustainable and truly “green” human endeavor, and one that offers a realignment with the earth under our feet. But it is also important to recognize that nothing has changed the face of the planet as much as the transition of human culture from nomadic hunter/gatherer to settled agricultural. If we do not remember history, we will be condemned to repeat it. For the sake of restoring our cultural memory, I highly recommend a most enlightening – even if difficult – book: A New Green History of the World, second edition (2007) by British historian and environmentalist Clive Ponting. His book is not difficult reading – it is some of the most accessible history I’ve encountered – but the subject of millennia of human despoliation of the earth takes some courage to consume. Here are some introductory excerpts from the book, along with a bulleted list of outcomes which summarizes the content and conclusions of the treatise. The truth will set us free. The history of Easter Island is not one of lost civilizations and esoteric knowledge. Rather it is a striking example of the dependence of human societies on their environment and of the consequences of irreversibly damaging that environment. Against great odds the islanders had painstakingly constructed, over many centuries, one of the most advanced societies of its type in the world. For a thousand years they sustained a way of life in accordance with an elaborate set of social and religious customs that enabled them not only to survive but to flourish. It was in many ways a triumph of human ingenuity and apparent victory over a difficult environment. But in the end, the increasing numbers and cultural ambitions of the islanders proved too great for the limited resources available to them. When the environment was ruined by the pressure, the society very quickly collapsed with it, leading to a state of barbarism. 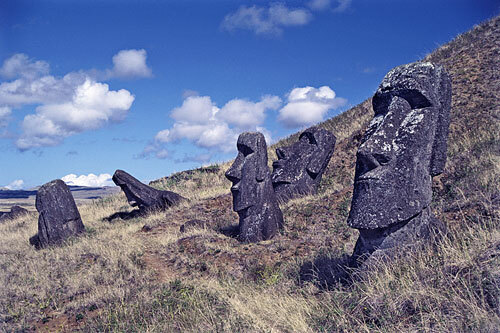 The fate of Easter Island has wider implications. Like Easter Island, the earth has only limited resources to support human society and all its demands. Like the islanders, the human population of the earth has no practical means of escape. For the last two million years, humans have succeeded in obtaining more food and extracting more resources on which to sustain increasing numbers of people and increasingly complex and technologically advanced societies. But have they been any more successful than the islanders in finding a way of life that does not fatally deplete the resources that are available to them and irreversibly damage their life support system? All human societies have been, and still are, dependent on complex, interrelated physical, chemical and biological processes. These include the energy produced by the sun, the circulation of the elements crucial to life, the geophysical processes that have caused the continental land masses to migrate across the face of the globe and the factors regulating climatic change. These constitute the essential foundations for the way in which various types of plants and animals (including humans) form complex, interdependent communities. Research into a wide variety of disciplines is increasingly making it clear that life on earth and all human societies depend on the maintenance of a number of delicate balances within and between a whole series of complex processes. Ecosystems are not static. Over time, they develop through an orderly and predictable series of changes resulting from the modification of the environment by plants and animals themselves to culminate in a climax system which has the maximum possible number of plants and animals for the available energy input. It takes thousands of years to move from bare rock through lichens and mosses to ferns, plants and eventually trees to create a climax forest that can survive for very long periods – provided there is no human interference. Just as plants and animals in an ecosystem are parts of a greater whole, so ecosystems themselves are part of a greater whole – the earth itself. For all practical purposes, the earth is a closed system. Although sunlight gets in to provide the necessary energy for life, all other resources are finite. The fact that the earth is a closed system also means that nothing can get out. All waste products must go somewhere. This fact, combined with the limited resources available to all living things, means that the recycling of the materials necessary for life is an essential function of all ecosystems. Humans are part of earth’s ecosystems, whether or not they are always conscious of this fact and its implications. In their relationship to the ecosystem, two factors distinguish humans from all other animals. First, they are the only species capable of endangering and even destroying the ecosystems on which they depend for their existence. Second, humans are the only species to have spread into every terrestrial ecosystem and then, through use of technology, to have dominated them. The problem for human societies has been to balance their various demands against the ability of the ecosystems to withstand the resulting pressures. For all but the last few thousand years of their roughly two million years of existence, humans have obtained their subsistence by a combination of gathering foodstuffs and hunting animals. In nearly every case, people lived in small, mobile groups. It was, without doubt, the most successful and flexible way of life adopted by humans and the one that caused the least damage to natural ecosystems. It was this basic form of subsistence – gathering and hunting – that was to last as the human way of life until the development of agriculture about 10,000 years ago. The commonly accepted view of gathering and hunting is that it produces a life which is, to quote Thomas Hobbes, “nasty, brutish and short”. In general, though, gatherers and hunters do not live under the constant threat of starvation. Rather, they have a nutritionally adequate diet selected from a wide range of the available food resources. This wide variety of food is normally only a small proportion of the total amount of food available from the environment. Obtaining food and other forms of work take up only a small proportion of the day, leaving large amounts of time free for leisure and ceremonial activities. Most groups survive with very few goods because their wants are few and because they would find the extra goods a hindrance to their mobile way of life. Most of the time, they live in small groups of about 25-50 people and come together in larger groups for ceremonial purposes, marriage and other social activities at a time when food supplies allow a larger population to gather in one place. Within the group, there is no concept of food ownership and food is treated as available to all. Food is not stored because that would interfere with mobility and because their experience dictates that some food will always be available, even if certain items are occasionally in short supply. In general, gathering and hunting groups live largely by gathering. Hunting is a difficult and hazardous activity with only intermittent rewards at best. It is only in the Arctic areas, with their almost total lack of suitable plant food, that hunting dominates subsistence. In order to obtain the necessary subsistence, gathering and hunting groups depend on a deep knowledge of their local areas and in particular an awareness of what types of food will be available at different places and at different times of the year. All gathering and hunting groups, both contemporary and historical, seem to have tried to control their numbers so as not to overtax the resources of their ecosystem. This was achieved through a number of accepted social customs. The most widespread was infanticide, involving the killing of certain categories such as twins, the handicapped and a proportion of female offspring. In addition, protracted weaning of infants probably provided a form of birth control and some of the old people may have been abandoned if they were ill or a burden to the group. The best estimate of the total population of the world about 10,000 years ago, just before the adoption of agriculture in a few areas, was not more than about four million, and in earlier periods would have been considerably less than that. The gradual development of human societies and the spread of settlements across the globe into different environments can be traced to four basic traits that distinguish humans form other primates. A bigger brain seems to have been important in achieving the power of abstract thought so vital to the development of technology. A second vital breakthrough (made as early as three and a half million years ago) was the ability to stand fully upright on two feet. This was important not just in increasing mobility but also in freeing the hands to undertake other tasks such as using tools. The third trait was the use of speech. Complex language became possible only when fully modern humans evolved about 200,000 years ago. The ability to communicate would have opened the way to increased group cooperation and more elaborate social organization in general as well as aiding the spread of different cultural advances. The fourth trait was the adoption of technological means to overcome difficulties imposed by hostile environments. Although other animals use tools, humans are the only ones to make complex tools and use them on a major scale. Stone tool-making began about two million years ago. By about 10,000 years ago, humans had spread from their original area of southern and eastern Africa to every continent. The gathering and hunting way of life was highly stable and very long lasting. For hundreds of thousands of years, it was the only way in which humans were able to extract the necessary subsistence from the environment. The number of people that could survive in any one area was constrained by their position at the top of the food chain. Only in exceptional cases, such as the Pacific coast of North America, were resources so abundant that settled populations could develop in sizeable villages. Then, about 12,000 years ago, the methods humans used to obtain their food began to change in a number of locations across the globe. The pace of change was still slow but far faster than in the past. It brought about the most fundamental alteration of human history – and one which made possible all the subsequent developments of human society. The radically different way in which humans obtained their food was based on major alterations to natural ecosystems in order to produce fields to grow crops and pasture to feed animals. These changes marked the most important transition in human history. The extra food that was produced made possible the evolution of settled, complex, hierarchical societies and everything we grandly call “civilization”. It also allowed a much faster growth in human population once the constraints imposed by a hunting and gathering way of life were removed. About 12,000 years ago, during the early stages of the evolution in agriculture, the population of the world was about 4 million. It probably increased slightly in the period up to 5,000 BCE as agricultural settlements developed. Then it began doubling every millennium to reach about 50 million in 1000 BCE. The upward trend has continued ever since. The combined phenomena of the transition to agriculture, the growth of settled societies, the eventual emergence of cities, the development of craft specialization and the rise of powerful religious and political elites, are often referred to as the “Neolithic Revolution”. However, although the consequences of all those changes were clearly revolutionary – both in their impact on the way of life and on the environment – it is highly misleading to describe the process itself as a revolution. These changes took several thousand years to evolve. Human societies did not set out to invent agriculture and produce permanent settlements. The cumulative effect of the various alterations acted like a ratchet. Changes in subsistence methods allowed a larger population to be supported but this made it difficult and eventually impossible to return to a gathering and hunting way of life because the extra people could not then be fed [though Ishmael author, Daniel Quinn, believes that at least four civilizations did return to simple living]. Only slowly and unconsciously did a radically new solution to the human problem of finding enough food emerge. Following is a lengthier summary of the nature and impacts – both cultural and ecological – of the Great Shift from living “in the Garden” (as our creation myths describe it) within nature’s gift economy to extracting our lives and our living from the land through the agricultural, technological and market economy. The adoption of agriculture, combined with its two major consequences – settled communities and steadily rising populations – placed an increasing strain on the environment. That strain was localized at first but as agriculture spread so did its effects. Agriculture involves the clearing of the natural ecosystem in order to create an artificial habitat where humans can grow the plants and stock the animals they want. The natural balances and inherent stability of the original ecosystem are thereby destroyed. Agruculture did not solve the problem of producing enough food to meet the needs of the world’s population. Until about the last two centuries in every part of the world nearly everyone lived on the edge of starvation. All but about 5% of the people in the world were peasants, directly dependent on the land and living a life characterized by high infant mortality, low life expectancy and chronic malnourishment, and with the ever-present threat of famine and the outbreak of virulent epidemics. Human actions have shaped the environment in which successive generations and different societies have lived. The driving force behind these actions has been simple – the need to feed, clothe and house the increasing population. However, the way in which human beings have thought about the world around them has been important in legitimizing the treatment of it. 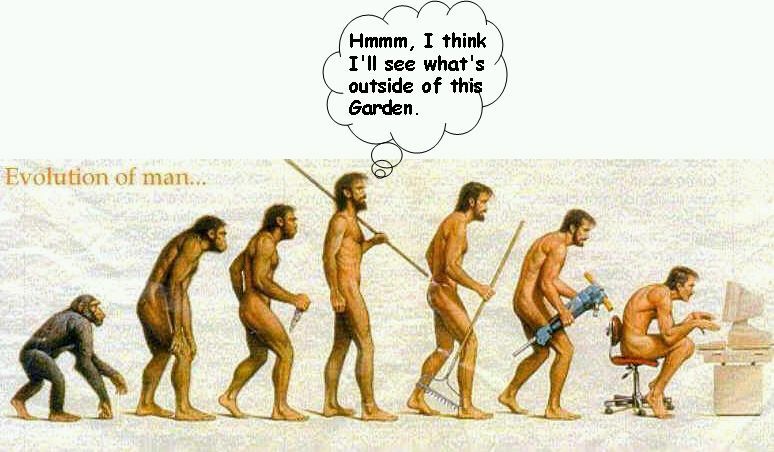 One of the fundamental issues addressed by all traditions is the relationship between humans and the rest of nature. The strong conviction running through both classical and Christian traditions has been that human beings have been put in a position of dominance over the rest of a subordinate nature. In the last two hundred years or so, these religious and philosophical questions have been overtaken by questions of economics – how scarce resources should be used and distributed. By the early 21st century, the pressures of free-market capitalism, enshrined as the dominant ideology of the world, took little account of environmental constraints and possible future problems. Over the last 10,000 years, human activities have brought about major changes in the world’s ecosystems. The expansion of settlements, the creation of fields and pastures for agriculture, the clearing of forests and the draining of marshes and wetlands have all reduced the habitats of almost every type of plant and animal. The deliberate hunting of animals for food, furs and other products (and, in many cases, for “sport”) has drastically reduced the numbers of many species and driven others to extinction. In addition, humans have moved plants and animals around the world, often with unexpected and near catastrophic results. Overall, there is no doubt that the scale of destruction has increased markedly in the last couple of centuries. Now, the extinction rate is about 1,000 times greater than the natural rate. The best estimates are that, as the world’s climate changes rapidly and the remaining tropical forests are cleared, about half the world’s existing species will be extinct by 2100. The rise of Western Europe after 1500, from being a backward area of the world to one which dominated the rest of the globe, not only drastically affected a range of ecosystems but also reshaped the relationship between the different regions of the world. The world economy that emerged over four hundred years was dominated by the states of western Europe and the areas where extensive European settlement took place – North America, Australia, New Zealand and South Africa. The tropical colonies in Africa and Asia and large parts of Latin America were forced into a subordinate position. Increasing political control and the expansion of settlement combined with the industrialization of Western Europe in the 19th century intensified this process. The economies of the colonies were molded and re-oriented to suit the demands of the home economy. The result was that when the colonies became independent they found it very difficult to remold their economies and escape from the constraints of a global economy constructed by the wealthy industrialized states. The consequence of the unbalanced development was a world characterized by increasing inequality. The industrialized world was able to live beyond the constraints of its immediate resource base. This formed the basis for a vast increase in consumption and the highest material standard of living ever achieved in the world. Much of the price of that achievement was paid by the population of the rest of the world in the form of exploitation, poverty and human suffering. The way in which humans have lived and the environments they have created have had a profound effect on their health, life expectancy and the causes from which they have died. The pattern of disease and death has been affected by four major developments in human history. First, the creation of farming communities opened humans to a whole range of diseases that originated with animals, such as tuberculosis, diphtheria, leprosy, influenza and aids (humans now share 65 diseases with dogs, 50 with cattle, 46 with sheep and goats, 42 with pigs, 35 with horses and 26 with poultry). In addition, permanent settlements made it difficult to provide clean drinking water and a number of diseases became endemic, such as typhoid, dysentery, cholera and intestinal worms and flukes. Second, the development of cities brought humans together in numbers (at least 250,000) sufficient to allow the major epidemics diseases, such as smallpox and bubonic plague, to develop and eventually spread. Third, the gradual drawing together of human communities around the globe, spread new diseases to peoples who had no natural resistance. Finally, medical treatment had a significant but limited impact and, by the late 20th century, it faced a new threat from the changing pattern of disease – the diseases of affluence, which include cancer, heart disease and diabetes, and the growing number of antibiotic resistant pathogens. Modern agriculture has, like its predecessors, produced a mixture of achievements, problems and environmental disasters. The problem that has affected agricultural societies throughout history – ensuring an adequate supply of food for all – has still not been solved on a global scale. The second great transition in human history involved the exploitation of the earth’s vast (but limited) stocks of fossil fuels. It led to the creation of societies dependent on high energy use. This transformation was at least as important as the development of agriculture and the rise of settled societies. In its impact on the environment, its effects were far greater and took place over a far shorter period of time. Until this transition, all forms of energy used by human societies were renewable (although trees were normally exploited in a non-renewable way). The last two centuries have been characterized not just by the use of non-renewable fossil fuels (coal, oil and natural gas) but by a vast increase in energy consumption. Until the 19th century, about three-quarters of the world’s mechanical energy came from humans and nearly all the rest was provided by animals – wind and water power were only marginal sources of energy. Humans are more efficient energy converters than animals. For thousands of years, it was the vast amounts of human toil and effort, with its cost in terms of early death, injury and suffering, that was the foundation of every society. With 90% of the population living as peasants, this was the reality of human life for all but a fraction of the last eight to ten thousand years. Half the world’s population (about three billion people) still depend on wood, charcoal and animal or crop residues for their fuel supplies. At least 100 million people are unable to obtain enough fuel for even their minimum cooking and heating needs. Human societies have rarely taken account of anything except short-term considerations and have treated all sources of energy as through they were inexhaustible. This cannot be the case with fossil fuels. However, before the world has to cope with a shortage of fossil fuels, it is likely to have to face the far more severe environmental problems caused by their consumption over the last two hundred years. One of the greatest changes in the way people live and the environment they have experienced has been caused by the rise of the city and urban living in the last two centuries. Cities are the most artificial environment produced by humans. Cities emerged at an early stage in the development of settled societies and are generally seen as central to civilized society. However, for thousands of years they played little part in the lives of the overwhelming majority of people. Until the early 19th century, only a tiny minority – no more than 3% of the world’s population – lived in cities. By the fist decade of the 20th century, a majority of the world’s population lived in cities. In 1800, the world’s population was still overwhelmingly rural – only about three in a hundred people lived in a city. By 1900, most of Europe and North America had been transformed by urbanization. For the first time in human history, cities, although necessarily still reliant on the countryside for food, ceased to be parasitic on the economy and made major contributions through industrial output. This was possible only through the growing use of fossil fuels, the development of high-energy-use societies and the consequent industrialization. The half the world’s people who now live in cities experience the most artificial environment ever created by humans. Cities depend on high energy use in building and sustaining them and in moving millions of people to and from work every day. Cities have many benefits – they are usually centers of cultural activity and have a much wider range of facilities than rural areas. However, although in some working class areas strong but informal systems of community support developed, in general the flood of people into cities destroyed existing social bonds and institutions without creating new ones capable of helping and sustaining their inhabitants. Cities, as Henry David Thoreau wrote, tend to be places characterized by “millions of people being lonely together”. During the late nineteenth and twentieth centuries, some of the worst aspects of urban life were eliminated by rising prosperity and government social programs. Most cities in the developing world still suffer from these problems. However, in the 20th century new problems emerged in the cities of the industrialized world. Public transport declined under the pressure of increasing car use. As the rich and middle class left the city to live in the suburbs, the economic decline of the inner city gathered pace, and a vicious downward spiral of poverty, crime and a deteriorating environment proved difficult to halt. By the late 20th century, a quarter of the population of New York (about four million people) had an income below the official poverty line, nearly 100,000 people slept on the streets, there were 500,000 drug addicts and only one in five of the babies born in Harlem was legitimate. The rise of the cities on the scale seen in the contemporary world is a phenomenon directly linked to the exploitation of fossil fuels and the emergence of high-energy-use societies with complex commercial and financial linkages. Not only are they responsible for most of the energy consumption within society, they are also a focus for a range of environmental problems. In addition to crowded and often poor living conditions, they are characterized by high levels of air pollution and noise, long commuting distances either on over-crowded public transport systems or by car on congested roads, and a multitude of social problems. Since the rise of settled societies some ten thousand years ago, the overwhelming majority of the world’s population has lived in conditions of grinding poverty. They have had few possessions, suffered from appalling living conditions and have been forced to spend most of their limited resources on finding enough food to stay alive. In the last two centuries, a sizeable minority of the world’s population has achieved a standard of living that would have been unimaginable to earlier generations. However, this improvement has been obtained at a significant price – a vast increase in the consumption of energy and raw materials, widespread pollution and a variety of social problems. In addition, it has raised major questions of equity about the distribution of wealth within individual countries and, even more important, between the rich and the poor of the world. While we “moderns” might wince at such “primitive” hunter-gatherer practices as infanticide, employed to maintain a sustainable population, the modernization of the world has not improved our behavior. In Paris in the 1780s, there was such widespread urban poverty that 25% of all babies were abandoned on the streets by their parents. Those children who lived to their teens often died in the miserable working conditions of the factories they were forced to labor in. Today, infant mortality rates in some US cities is higher than in parts of the third world, and motor vehicle accidents account for 40% of all teenage fatalities (along with homicide and suicide, they comprise 75% of all teen deaths). In the 20th century, the US lost 3 million people to motor vehicle accidents, six times as many as from war. The rise of affluence has not changed the persistent historical fact of internal inequality in society, and it has brought about a huge shift in the distribution of wealth between nations. In reality, through colonial and then global economic exploitation, the affluence of the minority has been purchased at the direct expense of the poverty of the majority as well as the health of the earth’s environment. Pollution has been one of the distinguishing features of every human society. For much of human history, the chief struggle was over sanitation and obtaining unpolluted water supplies. As populations rose and more people lived in cities, this problem became ever more acute. The development of industrial societies introduced new pollutants on a major scale and brought about new risks to human health and greater damage to the environment. By the late 20thcentury, pollution was on such a scale that there was a clear threat to the global regulatory mechanisms that make life on earth possible. The emergence of settled societies created a problem that has still not been solved across the world – disposing of human excrement and urine while obtaining decent drinking water. Failure in this area has been a major contributing factor to poor human health and high death rates for most of the last ten thousand years. Over a billion people today still have no access to safe drinking water. Even before industrialization, but much more acutely once coal became common, cities had clouds of smoke hanging over them. As a consequence, not only was air unfit to breath but respiratory illness and death became endemic. Effluent from both homes and industry went directly into rivers untreated, and the aquatic environment was often destroyed and waterways became odorific, toxic and flammable. As industrialism advanced, the variety of pollutants expanded – including chemicals, heavy metals and the acidification of rain sufficient to dissolve stone buildings and monuments. Industrial workers and those who lived nearby experienced severe health effects, including a sharp rise in cancer. Since the 1940s, the range of synthetic chemicals has increased exponentially (80,000 chemicals that never existed and generally don’t degrade in nature). High reliance on chemical fertilizers and pesticides caused transnational environmental impacts. Industrial accidents became routine. Toxic industrial waste was considered a necessary byproduct of modern economies and, when it belatedly became regulated in the producing countries, it was shipped to developing countries for disposal or recycling, with electronic waste becoming the latest variety. Global use and international trade in petroleum resulted in major spills in many sensitive environments. The development of the nuclear weapons and power industries left radioactive wastelands and waste that could not be safely stored anywhere on earth, and caused occasional devastating accidents. Finally, the dramatic increase in the use of private automobiles brought petrochemical smog to major urban areas and forced people to stay indoors and avoid heavy breathing for a significant part of the year. In the early 21st century, a fifth of the world’s population (well over 1.2 billion people) breathe seriously unhealthy air and 700,000 die annually as a result. During the 20th century, about 40 million people worldwide died from breathing polluted air, and about three-quarters of that toll occurred in the second half of the century. Acid rain, toxic waste, waterway pollution, nuclear radiation and vehicle emissions had their impacts at the local and regional level, so that solutions could be achieved through regional agreements. However, in the second half of the 20th century, two forms of pollution affected global ecosystems that make life on earth possible. Complex international agreements were required but this process involved the extremely difficult task of reconciling very different national interests. In one case – the ozone layer – they succeeded. In the other – global warming – they have so far failed. At ground level, ozone is a pollutant that reduces plant photosynthesis by about 20% and makes breathing more difficult. In the stratosphere, the ozone layer absorbs most of the UV radiation and prevents it from reaching the earth’s surface where it is harmful to nearly all forms of life. In humans, UV causes cataracts and skin cancer. In plants, it slows down photosynthesis, and it severely damages phytoplankton – the foundation of the oceanic food chain. During the second half of the 20th century, the stratospheric ozone layer was partially destroyed by the indiscriminate use of chlorofluorocarbons (CFCs), which were invented in the 1920s by the same scientist who recommended the use of tetraethyl lead in gasoline. CFCs became widely adopted in industry because they seemed to be inert and non-toxic. They were used as refrigerants, in automobile air conditioners, as propellants in spray cans and to clean electronic circuit boards. About three-quarters of the CFCs that entered the atmosphere did so through the use of spray cans – by the 1970s, Americans were using 1.5 million spray cans per year. In addition to the fact that a single chlorine atom can destroy 100,000 ozone atoms, CFCs can persist in the atmosphere for a century. The accumulation was first noticed in the early 1970s, but a campaign by scientists and the public to ban them was strongly resisted by the chemical industry and many politicians. Their use in spray cans alone was banned by the late 1970s in the US, Canada and Scandinavia. International action was slow until a large hole, or thinning, of the ozone layer over Antarctica was discovered in 1985. The evidence had been available for years but the computer programs analyzing the data were instructed to ignore extremes. In the early spring, this hole drifts northwards to 45° S latitude. A similar hole was discovered over the arctic which similarly drifted south. This led to the Montreal Convention of 1987, which was forced on the US and Britain only by strong public pressure. In the meanwhile, American and British chemical companies were developing an alternative, hydrochlorofluorocarbons (HCFCs), which were just as damaging to the ozone layer but less persistent, and technology exchange agreements were negotiated with the developing world which did not want to slow their industrial growth because of problems they did not create. But international agreements called only for a slow phase-out by 2020 in the industrialized world and 2040 in the developing world. HCFCs will be slowly replaced by hydrofluorocarbons (HFCs) which, because they contain no chlorine, will not damage the ozone layer. But there are exceptions for fire retardants and the pesticide methyl bromide which is 45 times more destructive to the ozone than chlorine. The latest estimate is that the ozone layer will not return to 1970s levels until 2065 at the earliest. For every one percent drop in ozone concentrations there is an equivalent rise in the number of malignant cancers and cataracts. In the last thirty years, there have been between one and two million extra deaths from skin cancer. The effects on sensitive oceanic ecosystems are impossible to quantify. Without natural greenhouse gasses in the atmosphere to trap outgoing terrestrial infrared radiation, the average temperature on earth would be about 0°F – too cold for life. These gasses, primarily carbon dioxide and methane, maintain average surface temperatures at 59°F. However, in the last two hundred years, human activities have added extra quantities of these greenhouse gasses – carbon dioxide, methane and nitrous oxide – and introduced new ones in the form of the various CFCs. The effect of these changes has been to turn a vital life-sustaining mechanism into the world’s most threatening and potentially catastrophic environmental problem – global warming. The increase in the amount of carbon dioxide in the atmosphere in the last 250 years reflects the second great transition in human history – the exploitation of fossil fuels and the development of societies dependent on high energy use. Coal production is now 350 times higher than in 1800 and oil production is 350 times higher than in 1900. The number of motor vehicles in the world rose from almost nil in 1900 to 775 million in 2000. In parallel, carbon-absorbing forests – particularly tropical forests – have been destroyed on an unprecedented scale in the last two hundred years. The major human contribution to global warming has been the addition of extra carbon dioxide to the atmosphere, most of which has come from the burning of fossil fuels. The secondary source is deforestation, which adds CO2 both by the burning of trees and from reducing the photosynthesis conversion of CO2 to oxygen. When carbon dioxide is released into the atmosphere, about half of it is absorbed by various sinks, in particular the oceans, increasing acidification and the bleaching of coral reefs – the tropical rainforests of the seas. The second major greenhouse gas is methane, released from agricultural use of decaying plant matter for fertilizer (particularly in rice paddies), formed in the gut of domesticated animals (particularly cattle) and by the digestion of termites. Nitrous oxide is produced in automotive engines and released through the tailpipe and also by nitrate fertilizers. CFCs have, until recently, been widely used in industry and consumer goods. CO2: Since 1750, about 300 billion tons of carbon dioxide has been added to the atmosphere by human activities, but half of that total has been added since 1975. In 1750, before widespread use of fossil fuels, there were about 270 parts per million (ppm) of carbon dioxide in the atmosphere. This is the baseline. This rose slowly, but by 1950 the concentration had risen to 310 ppm – a roughly 15% increase in 200 years. By 2005, it was 381 ppm – a 20% rise in just 45 years. Overall carbon dioxide concentrations in the atmosphere are about 40% higher than they were when the second great transition was in its early stages, and the rate of increase is also rising. Carbon dioxide accounts for about two-thirds of the total effect of anthropogenic greenhouse gas emissions. Methane: Extra methane in the atmosphere is largely the result of the expansion of agriculture in the last two centuries, reflecting the unprecedented and rapid rise in the world’s population from less than one billion in 1800 to more than six billion in the early 21st century. The last two centuries have also seen a vast increase in the number of domesticated animals in the world. Termites have flourished as the tropical forests have been destroyed – in the second half of the 20th century, the area covered by the world’s tropical forests has been reduced by 46%. The consequences of these actions has been to raise the amount of methane in the atmosphere two-and-a-half fold since 1750. Although methane is still present in only minute quantities in the atmosphere, it is about 20 times more powerful than carbon dioxide in trapping infrared radiation and so contributes almost a fifth of the overall additional greenhouse effect. Nitrous Oxide: The increase in nitrous oxide in the atmosphere reflects the rise in vehicle numbers and the increasing distance traveled by each vehicle. In addition, inorganic fertilizer use makes a major contribution, having increased nearly 350-fold in the 20th century. Overall, the amount of nitrous oxide in the atmosphere has risen by 17% since 1750. It is found only in the lower levels of the atmosphere, but it is 120 times as powerful as carbon dioxide as a greenhouse gas. The other problem is that it is extremely long-lived, and will remain in the atmosphere for several centuries. CFCs: CFC production increased 240-fold between 1940 and 1974, and production continued into the 21st century. Although CFCs are in the atmosphere only in trace amounts, they make up about 12% of the total additional greenhouse effect because they are many thousands of times more potent than carbon dioxide as infrared absorbers. Impact: In 1896, a Swedish scientist was the first to forecast a rise in global temperatures from the burning of fossil fuels – the science behind this prediction was, and is, fairly straightforward. His warning was largely ignored for decades. Environmentalists began to warn of the dangers and potential problems ahead in the 1960s, but they too were ignored. It was not until the 1980s that the scientific community began to accept the reality of global warming and the UN Intergovernmental Panel on Climate Change (IPCC) was established in the late 1980s. Their major challenge was to identify to what extent climatic changes could be attributed to human activity rather than natural variability. A great deal of research since that time has produced a clear and generally reliable picture of changes in the earth’s climate in the recent past. Global temperatures have increased since 1861. Overall, the rate of increase between 1976 and 2000 was three times the overall rate of increase since 1861. In September 2006, NASA reported that the earth had warmed by 0.2°C in each of the last three decades. The overwhelming scientific opinion is that these changes have been caused by human activity. Indeed, the natural changes in the second half of the 20th century – variability in the sun’s output and volcanic activity – would have had a cooling effect. Since the late 1960s, global snow cover has decreased by 10%. Lakes and rivers in the northern hemisphere are now frozen for two weeks a year fewer than they were in 1900. Glaciers across the world have retreated and lost volume in every year since 1952. The area covered by glaciers in the Alps is now less than half what it was in 1850. Mount Kilamanjaro in east Africa has lost 80% of its snow cover since 1912. As ice has melted and the oceans have expanded as they became warmer, sea levels have risen by between 4″ and 8″ in the 20th century. Warmer air is able to hold more water vapor and rainfall has increased by just under 1% per decade in the mid to high latitudes of the northern hemisphere. The number of heavy storms has also increased by about 4% during the 20th century. Additionally, the extra water in the atmosphere is acting as a greenhouse gas. These changes have had an impact on agriculture and natural ecosystems. Rice yields in some areas have fallen by 10% since 1980. In Britain, 80% of terrestrial species have either moved north 20 to 40 miles in the last 25 years or to higher ground at a rate of 16-32 feet per decade. Around Britain, small marine animals and seaweeds have, on average, moved nearly 100 miles north in the last 50 years. A University of Texas report in 2003 showed that 99 species of birds, butterflies and alpine plants were moving northwards at an average rate of 2000 feet per year. Forecast: Forecasting climate change is a difficult business and computer models are still relatively simplistic, but certain broad assumptions can be made. The first is that climate change will be much faster in the 21st century than it was in the last decades of the 20th century. There is no doubt that the level of carbon dioxide will surpass 400 ppm within the next ten years. Tropical and semi-tropical crop yields are likely to fall dramatically and there will be at least a tripling of the number of poor harvests in Europe and North America. The number of people living in water-scarce areas will rise to between a third and half of the world’s population. As temperatures rise, mosquito-borne diseases – especially malaria – will spread in Africa and North America and are also likely to return to Europe. The number of deaths from climate-related diseases will probably double by 2030. Energy demands will rise as more air-conditioning systems are used (only partially offset by lower heating requirements in the winter). Sea levels will rise between 4 and 32 inches, effectively swamping some low-lying island nations. The number of people at risk of coastal flooding will rise from 75 million to 200 million and many ports and cities could become uninhabitable. The major problem for natural ecosystems is the speed of the temperature rise which is already far quicker than any natural rate of increase in the past. Some species may be able to migrate but many will become extinct. A January 2001 article in Nature suggested that the minimum likely temperature rise (1.7°C by 2050) could wipe out about a third of all the species on the planet and that a rise of more than 2°C would drive about half of all species to extinction. It is generally accepted that a 2°C rise in average temperatures is the threshold level beyond which the risks to human societies and ecosystems grow significantly and that a 2°C rise will become inevitable once carbon dioxide levels increase beyond 400 ppm as they will do in the next decade. The IPCC estimate is that to stabilize temperatures at about a 2°C rise would require global carbon dioxide emissions to drop to below 1990 levels within a couple of decades at most and “then would then have to continue to decline steadily thereafter”. Eventually carbon dioxide emissions “would need to decline to a very small fraction of current emissions”. Even if this were achieved, the changes produced by little more than two centuries of massively increased energy usage will be very long-lived. The thermal expansion and rise of the oceans will continue for centuries. The IPCC, in order to achieve consensus, has been conservative in its forecasts, assuming that global temperatures will rise uniformly. However, considerable accumulating evidence suggests that there are thresholds beyond which change accelerates and becomes self-reinforcing. Greenland ice cores indicate that a temperature variation of 7°C could occur within 50 years and that major shifts in the North Atlantic climate could take place in as little as five years. Antarctic ice cores indicate that carbon dioxide levels in the atmosphere are increasing 200 times faster than at any time in the past 800,000 years. Another study published in Science in 2005 showed that sea levels are rising twice as fast as in the past. Current estimates of sea level rise in the 21st century are between 11″ and 55″. We are now discovering that temperatures in the polar regions are rising much faster than average global temperatures – 2.5°C in parts of Antarctica since 1950 and 3°C higher in the Arctic than the average for the second half of the 20th century. The latest forecast is that all Arctic summer ice will be gone by 2040 at the latest. The rate of loss of Greenland’s vast ice sheet has almost tripled since 2004. Continued melting at this rate could raise sea levels 16′ in a century. The increase in cold water pouring into the North Atlantic could also stop the Gulf Stream’s warm current flowing to Europe, as it did 8,000 years ago when the North American glaciers were in retreat, in as little as five years, reducing average temperatures in Britain and Ireland by 7°-11°F – creating a climate equivalent to that of Newfoundland. It’s also been discovered that the entire western Siberian sub-Arctic region is beginning to melt, with a temperature rise of 3°C in forty years. This permafrost area contains a quarter of all the stored methane under the earth’s surface. A study published in 2006 suggested that between 1950 and 1980 the amount of solar energy reaching the surface fell by about 2% every decade because of increasing levels of dust and pollution in the atmosphere. That trend reversed since the 1980s. As the earth warms, carbon dioxide stored in ecosystem soils escapes. At a certain undetermined point, the oceans’ ability to act as a carbon sink suddenly fails. All of these possible feedback mechanisms – the rapid melting of polar ice, the release of methane from the frozen tundra, the reduction in atmospheric pollution, extra carbon dioxide releases form the soil and the decreasing ability of sinks to absorb carbon dioxide – suggest that the conservative estimates of climate change are far too low. The IPCC’s worst-case estimate in 2007 was a rise of 6.4°C by 2100, which most observers agree would be catastrophic for the world, may also be too low. If any of the five feedback possibilities occurs, the best available estimate is that global temperatures would, on average, be about 10°C warmer than they are now. The Heart of the Problem: Global warming is the greatest threat that the world faces and finding a solution will be extremely difficult for reasons that lie deep within the way human societies have evolved in the last 10,000 years. International agreements were able to resolve the ozone depletion problem (though health ramifications will continue for a century) because alternatives were available which did not slow economic growth or corporate profits. This is not the case with global warming. The use of fossil fuels is the foundation upon which modern industrial urban high-consumption society is built. In democracies, voters judge their politicians by their ability to maintain economic growth and increased consumption. Responsibility for the problem also raises issues of equity which are not as easily addressed by technology transfer as they were with ozone depletion. The rich industrialized countries are primarily responsible for current climate change but the developing nations claim a right to expand energy use to bring their populations up from poverty and increase affluence. Unlike with ozone, there is no foreseeable technological alternative to the use of fossil fuels, and past experience suggests that increasing energy-efficiency is likely only to increase overall energy consumption. The proposed “solution” of increased nuclear power production is undermined by the high energy use required for the construction of nuclear power plants and the entire fuel cycle, in addition to the fact that there is no long-term waste storage solution. A doubling of the share of energy produced by nuclear power, taking growth into account, would require a tripling of the number of plants. The United States is the largest contributor to global warming in the world. With 5% of the world’s population, it is responsible for just under a quarter of carbon dioxide output. Per capita emissions are more than double that of the European Union. Even if the economies of China and India continue to grow at 4% per year (twice the rate of the US), the US would still be responsible for twice as much carbon dioxide emissions from 1980 onward as China and India combined. The “Solution”: The scientific consensus is clear. In order to stabilize carbon dioxide levels at about 400 ppm (which would entail a minimum average temperature increase of 2°C and about twice that in the higher latitudes), global emissions would have to fall below 1990 levels within less than a decade and continue to decline to between a half and a third of those levels by the middle of the 21st century. This assumes that no self-reinforcing feed-back mechanisms come into effect. And these are global reductions, so cuts in industrialized countries would have to be much larger. If it took until the late 21st century to make these cuts, atmospheric carbon dioxide would rise to at least 650 ppm and average global temperatures would rise by about 5°C (at least twice that amount in the high latitudes). This would almost certainly be catastrophic for most human societies and trigger major feedback mechanisms that would accelerate the rise. The much-hyped UN Conference on the Environment, in Rio de Janero in 1992 and Kyoto Japan in 1997, produced agreements to reduce emissions by 5.2% by 2012 among its signatories, which most environmentalists believed to be far too low. President Clinton signed the treaty knowing that the Senate would not ratify it and President Bush subsequently withdrew the US from the Kyoto process. US carbon dioxide emissions were 16% above 1990 levels by 2004 and grew at a record-breaking 2% that year. Australia also refused to sign the treaty. Chinese emissions rose a third and India’s by 60% in the decade ending in 2002. Few of the countries that did sign the Kyoto treaty are likely to meet their modest targets. Instead, politicians hoped for a technological “magic bullet” and rhetoric about “green growth” replaced any real attempt at a solution. Since the dangers inherent in global warming first became widely apparent, the output of carbon dioxide, methane and nitrous oxide has continued to rise inexorably year after year. A long series of tortuous international negotiations has produced targets that might, if they were achieved, offset about one year’s worth of global warming emissions. In practice, the targets are unlikely to be met. It seems that the underlying social, economic and political forces that have dominated the world for the last two hundred years are simply too strong to be altered in the decisive way that would be required to make the sort of reductions in carbon dioxide output that climate scientists regard as essential if catastrophe is to be avoided. All living things on earth, including humans, form part of a complex web of interdependence. When the first direct ancestors of modern humans emerged about two million years ago, their numbers were limited by the ability of ecosystems to support animals operating towards the top of the food chain. Human history is, at its most fundamental level, the story of how these natural limitations have been circumvented and of the consequences for the environment of doing so. The most important departure from basic ecological constraints has been the increase in human numbers far beyond the level that could be supported by natural ecosystems. This was made possible by the development of various technologies that enabled them to survive in almost every global terrestrial ecosystem. Even so, the numbers of people in the world 10,000 years ago was probably no more than about four million. Ecological constraints were broken by the development of agriculture – the creation of artificial environments in which selected plants could be grown and domesticated animals tended. This was a watershed in human history and the last 10,000 years of history have been shaped by an agriculture-based boom that has sustained a rise in numbers from four million to more than six billion (a 1500-fold increase). However, for all but the last 200 years, the pace of population growth was slow and often interrupted by food shortages, famine and disease. The rapid growth of modern times began only around 1750, but it has been enough to increase the world’s population more than six-fold. All of these extra people had to be fed, housed, clothed and provided (to a varying extent) with goods and services. Even if the level of consumption per head had not increased, this huge rise in numbers was bound to place increasing demands on the earth’s resources. The increasing demand for resources resulting from the growth in numbers not only placed strains on the environment, it also forced the development of ever more complex techniques requiring more effort and greater input of energy. The transition from gathering and hunting to agriculture required a much higher level of effort in sowing, weeding, watering , harvesting and storing crops. In return for this greater effort, a higher output of food could be obtained from a smaller area. However, the huge population growth of the last two centuries could be sustained only by much higher levels of inputs into agriculture in the form of machinery, irrigation, fertilizers and pesticides. Similarly, the first humans were able to clothe themselves using the skins of animals they had scavenged or killed. As numbers rose this was not possible, and textiles were made from natural fibers such as wool, cotton and flax. However, this required the use of land to grow crops and provide pasture for animals as well as the extra effort needed in the spinning and weaving of raw materials. By the late 19th century, this was no longer possible as human numbers rose dramatically. Only the manufacture of artificial fibers from chemicals enabled the world’s population to be clothed. The earliest forms of writing were recorded on clay tablets or plant materials such as papyrus. The only other source was parchment and vellum from animal skins. As demand for writing materials increased, it was necessary to substitute what was widely considered an inferior product, paper, which was invented in China about 2,000 years ago. However, paper was originally made mainly from natural fibers and old rags. The modern output of paper requires large-scale felling of trees, the creation of monocrop plantations of eucalyptus and pine and large amounts of energy. From one perspective, this invention of new technologies can be viewed as progress – the increasing ability of humans to modify their environment and utilize its resources to meet their growing needs. From an ecological perspective, human history can be seen as a succession of ever more complex and environmentally damaging ways of meeting the same basic human needs. It was the first great transition in human history – the development of agriculture and the rise of settled communities – that set human societies on this path. It took 10,000 years before the second great transition began. This involved the use of fossil fuel energy sources, the creation of industrialized and mass-consumption, urbanized and high-energy-dependent societies. It took place in a little more than 200 years and has compounded all of the earlier environmental problems on an unimaginable scale. The agricultural states and empires were all at roughly the same level of development and the differences in wealth between them were marginal. Over the last 250 years, inequality in the world has increased enormously. The course of human history over the last two centuries has produced change at a rate never before experienced and brought together a series of interlinked problems that almost defy solution because of their complexity. The last century has witnessed rapid growth in many areas and it is the conjunction of all these changes that has produced the current acute state of the world’s environment. In a number of important areas, changes were achieved – the elimination of smoke pollution in cities, reductions in industrial pollution, international agreements on acid rain and CFC production. However, the impact of these corrections was limited when set against the dominant ideology of economic growth, technological innovation and mass consumption. Many of the measures adopted in the late 20th century were little more than cosmetic. Indeed, it was quite possible to interpret many of the measures – wildlife conservation in limited areas, licensing pollution up to certain levels, escape clauses for scientific whaling, limited help for organic farming while continuing massive subsidies to conventional agriculture and the drive for “green” consumerism – as being no more than ways of shoring up the existing system rather than the first steps towards a more environmentally benign approach. The environmental problems now facing the world are deeply rooted in human history. Many have developed over a long period of time, but it is in the last two centuries that they have widened and intensified their impact dramatically. Over the same period, the political history of the world has produced a large number of unequal states, each asserting their right to independence and national sovereignty and their need to meet their national interests as they define them. At the same time, these states were obliged to operate within an international system characterized as much by conflict and competition as by cooperation. These problems were further compounded by the emergence of world financial systems and transnational corporations that are more powerful than most governments. The problem for modern societies is the scale and the interlinked nature of the multitude of environmental challenges they face, the speed with which economic, technological and social change is taking place and the lack of effective mechanisms to deal with these issues. The almost fourfold increase in the world’s population in the 20th century will not be repeated in the 21st century. However, population will continue to grow at a significant rate. The UN’s “medium” projection is based on a 30% reduction in fertility combined with a 20% increase in life expectancy in the developing world. In the industrialized world, it assumes very small changes in each. This would produce a world population of seven billion by 2013, rising to eight billion by 2028, with growth then slowing to produce a total of nine billion by about 2050. This is a relatively conservative estimate. With half of the world’s population already living in cities, much of the population growth will result in a large increase in the size of urban areas with all the associated environmental problems that would entail. The expected increase in the world’s population by about 50% in the next fifty years has major implications for the world’s food supply. The necessary increase in production can be obtained by a combination of two possibilities. First, more land can be brought into production. However, the best agricultural land is already in production and world grain harvests have been falling since 1984. The new land could be obtained only by further deforestation (mainly in the tropics) with major consequences for biodiversity, soil erosion and climate change. Second, the inputs for agriculture in the form of irrigation, artificial fertilizers, pesticides and machinery could be increased still further. This path is beset with problems and will require a large increase in energy inputs. Proprietary genetically-modified crops and cloned animals are proposed by chemical and agribusiness corporations, but the experience of the “Green Revolution” and the potential unknown risks of releasing these organisms into the environment suggest this is not an appropriate solution. And the higher inputs required for such crops would limit their use to the rich, thereby widening inequalities. The ability to use more resources is fundamental to the continuation and expansion of industrial society. In 1972, the Club of Rome published a controversial book, The Limits to Growth, which forecast a collapse in industrial output and an uncontrollable decline in population within a century largely as a result of the exhaustion of resources (and increasing pollution). Experience since the 1970s has shown that the immediate threats to the world do not come from a shortage of resources. The main problem is that trends of the 20th century towards the exploitation of ever lower grades of ore will continue and this will require increased energy inputs to mine and refine. The fundamental problem facing the world’s resources is the current highly inequitable way in which they are used. The United States contains about 5% of the world’s population yet consumes every year about 40% of the resources used in the world. If some attempt were made to combat the glaring inequalities in the world and the standard of living of the poorest countries were to rise to current European (not American) standards, then the world’s consumption of resources would have to rise more than 150-fold. However, this 150-fold increase in resource consumption does not allow for any further rise in consumption in the rich world, nor does it take account of the fact that the population of the poorest countries in the world is expected to rise by 50% by 2050. These resource constraints are magnified by the linked problem of energy use. The best estimate is that there is enough coal in the world to last for at least the next two centuries, even at higher rates of consumption. Oil was the primary fuel of the 20th century. There are increasing signs that the world is entering a new stage in its energy history characterized by the beginning of the end of the great oil-based energy boom. Since 1970, more oil has been extracted each year than has been discovered. Many analysts argue that about 90% of discoverable oil in the world has already been found. This would mean that the peak of world oil production will occur in the first decade of the 21st century or shortly thereafter. Natural gas became increasingly important in the second half of the 20th century. Production will peak around 2020, followed by a long decline in output. The decline in natural gas output will occur in conjunction with the fall in oil production and this will therefore greatly exacerbate the problems that will have to be faced. In these circumstances, energy will be a major constraint in the coming decades. The world is clearly approaching a major crossroads. The profligate high-energy societies of a small minority of the world’s population that developed in the 20th century cannot be replicated for all of the world’s people. Indeed, it will be increasingly difficult to sustain it for the few much into the future. The problems caused by the huge increase in energy consumption in the last 200 years (nearly all of which has come from fossil fuels) will have a substantial impact on the world long before the problems of declining oil and natural gas production have to be faced. In the last two centuries, the amount of carbon dioxide in the atmosphere has increased from about 270 ppm to 381 ppm [as of May 2011 it is 394.35]. Given the rate at which additional carbon dioxide is now being put into the atmosphere (between 2 and 2.5 ppm every year), this figure will rise to more than 400 ppm by about 2012. The scientific consensus is that this will produce an average rise in global temperatures of at least 2°C and above this level the risks to human societies and ecosystems grow significantly. Past experience suggests that increasing efficiency does not reduce overall consumption; in fact, it tends to increase it. A major increase in reliance on nuclear power – even ignoring the environmental, health and security risks – cannot make more than a minor impact on emissions and it would take a couple of decades before these stations would be fully operational. Fusion power is in its pre-prototype stage and would not likely be broadly feasible until well into the late 21st century. It is technically possible to remove carbon dioxide from the waste gasses of power stations and industry, although the technology would need some time to develop on a major scale. The problem is what to do with the carbon dioxide when it has been captured. Like nuclear waste, it would have to be sequestered from the environment virtually forever. It is difficult to imagine what technical solutions to this problem are possible in the near future. Even if they were found, they would not deal with the problem of carbon dioxide emissions from automobiles and airplanes which currently account for about 30% of the total. Technology is unlikely to make any major impact on global carbon dioxide emissions in the first half of the 21stcentury. These technological problems mean that there are no easy solutions to the problem of global warming. Given the deeply engrained nature of high energy consumption in modern societies, the difficulty, especially in democratic societies, of implementing any major reductions in consumption and the lack of any easy technological solutions in the next few decades, the prospects of the world’s climate looks bleak. In its “Energy Outlook” for 2006, the International Energy Agency forecast that the most likely scenario was a 53% increase in world energy use by 2030 and that fossil fuels would make up more than 80% of that increase. Most scientists now agree that there is little prospect of avoiding a rise to 450 ppm in the atmosphere which would be about a 75% increase above pre-industrial levels. That will probably occur in the next 20 to 25 years. Concentrations would rise to between 650 and 970 ppm by 2100, which would be two or three times pre-industrial levels. This would imply an average temperature rise of at least 5°C but perhaps twice that in the high latitudes. The problems that continued global warming will bring about will have their impact in a world already facing a multitude of other environmental problems stemming from the past – deforestation, soil erosion, desertification, salinization, water shortages on a large scale, loss of wildlife and plant species and urbanization. Global warming will exacerbate all of these problems. In addition, continued industrial expansion and further increases in consumption will lead to higher levels of air and water pollution around the world. Continued increases in population (even at a lower rate than in the recent past) will put more pressure on resources and agriculture. All of these problems have to be addressed in a world characterized by gross inequalities in the distribution of wealth, income and power and where political mechanisms are losing control of key economic and financial decision-making. The scale of problems facing the world are interrelated and unprecedented. The problems for all human societies has been to find ways of extracting from the environment their food, clothing, shelter and other goods in a way that does not render it incapable of supporting them. The achievements of modern industrial, urban, high-consumption, high-energy societies have been remarkable. However, the other side of the coin is that the scale of the environmental problems they have created as a consequence of these achievements is unprecedented and of a complexity that almost defies solution. Robert, this overview is extraordinary! Excellent! Thank you fr this..